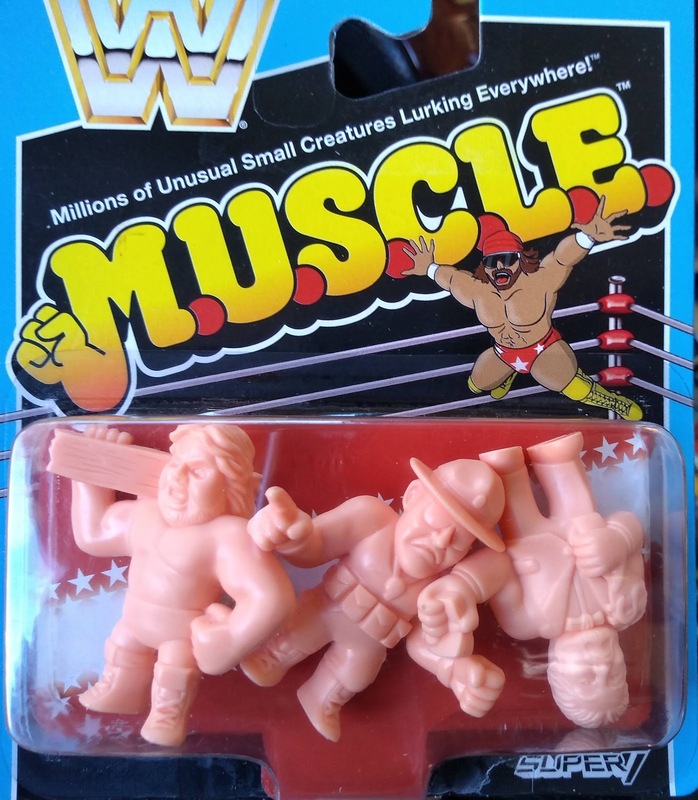 While out of town for Christmas last week I went into a Five Below store and found these WWF M.U.S.C.L.E. figures, and had to grab a couple packs; most especially the pack with this cute tiny Giant (Andre the Giant to be specific!) Lucky for me the Andre set also included Rowdy Roddy Piper! I also had to have the pack with Sgt. Slaughter. Sarge is packed in with Hacksaw Dugan and the Million Dollar Man. Andre and Roddy came with Macho Man Randy Savage. Ooooh YEEEEAH! I was a huge M.U.S.C.L.E. fan in the eighties, but didn't really follow WWF. But so many iconic wrestling characters are a part of that nostalgic fabric that I can't help but love them today. 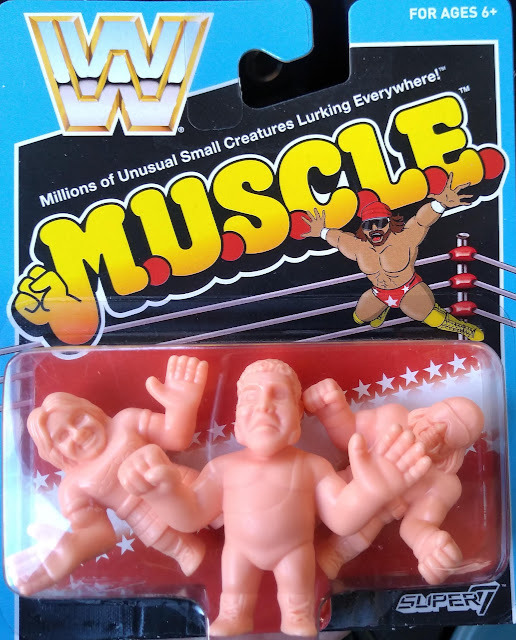 I really like these guys in the M.U.S.C.L.E. aesthetic. Especially the oversized Andre. I'm not sure if it's a good or bad thing that I don't live nearer to a Five Below. I mean, I'd find more cool stuff I didn't know I couldn't live without, but then again, I'd find more stuff I didn't know I couldn't live without! These are so cool, aren't they? I ordered mine from Ringside Collectibles a few months ago. 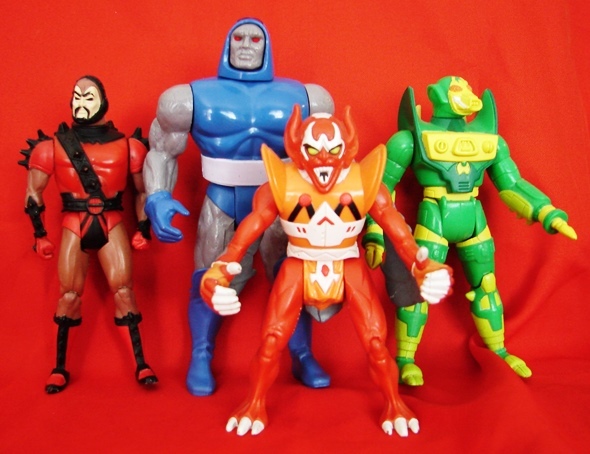 They're some of the best MUSCLE figures Super7 put out! They certainly make the most sense of all the other themes Super7 have put out as M.U.S.C.L.E., being wrestlers after all!